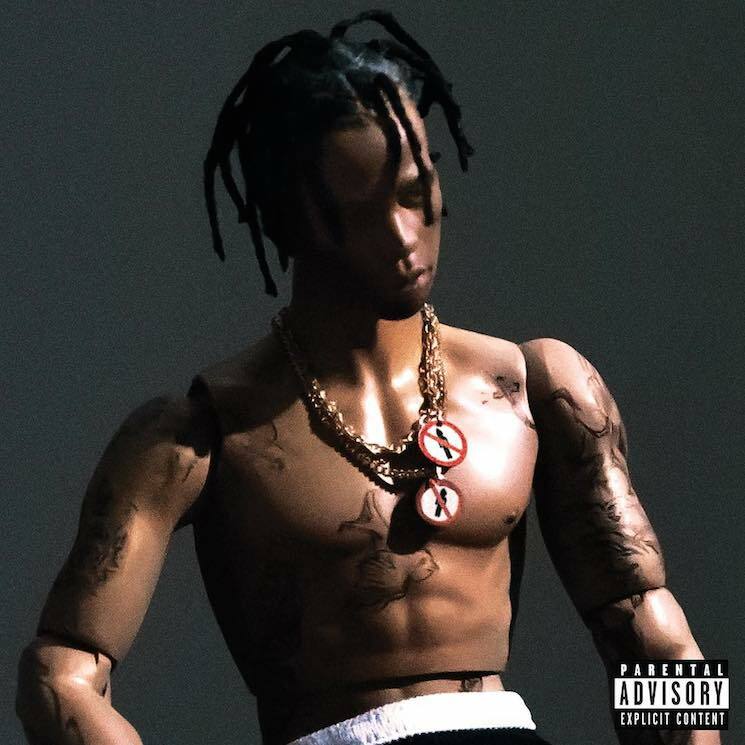 Are you awed by the action figure analogue of Travi$ Scott that's pictured on the cover art for the rapper's forthcoming Rodeo album? Does the toy collector in you want to get your paws on one? Well, good news, then, as the MC has revealed he'll be marketing the dolls sometime in the near future. Scott gave fans a sneak peek of the doll in an Instagram video, in which he seems reasonably stunned to be holding his own Mego-style figure. An all-caps caption reads: "YOU CAN ACTUALLY BUY THE ACTION FIGURE." While Exclaim! had previously noted that the artwork featured a miniaturized, plastic Scott doll "who wears no shirt but two chains," the unboxing shows that the little guy will actually come packaged with a sharp-looking, 3/4-length black leather coat. No word yet on when you can rope yourself one of the Rodeo rapper's action figures, but his album is due September 4 via Epic Records.